If you average about 7-9 hours of sleep per night, your sleep habits are probably already in good shape. However, new research says that you might still benefit from fine tuning your sleep schedule. A study conducted by Penn State researchers and presented at the American Heart Association EPI/Lifestyle 2015 meeting suggests that the consistency of your sleep schedule, in addition to the average number of hours you sleep per night, may influence eating habits. The study, which examined teenagers’ sleep and dietary habits, found that participants averaged 7 hours of sleep a night. However, teens with irregular sleeping patterns (for example, getting too little sleep one night and sleeping in the next night), ate more calories and were more likely to snack than teens with regular sleeping patterns. In fact, participants consumed 210 additional calories (think a small slice of pizza or a candy bar) for every hour of difference in sleep night-to-night. Over time these differences could add up—check out the example sleep schedules below to see how. Although more research on this topic is sure to come, getting 7-9 hours of sleep each night and keeping a consistent sleep-wake schedule seem like good steps toward better habits and health. Avoid tobacco, caffeine, and alcohol close to bedtime. Nicotine and caffeine are stimulants and can keep you awake. Alcohol may make you feel sleepy, but it disrupts sleep later on in the night. Limit late night snacks. 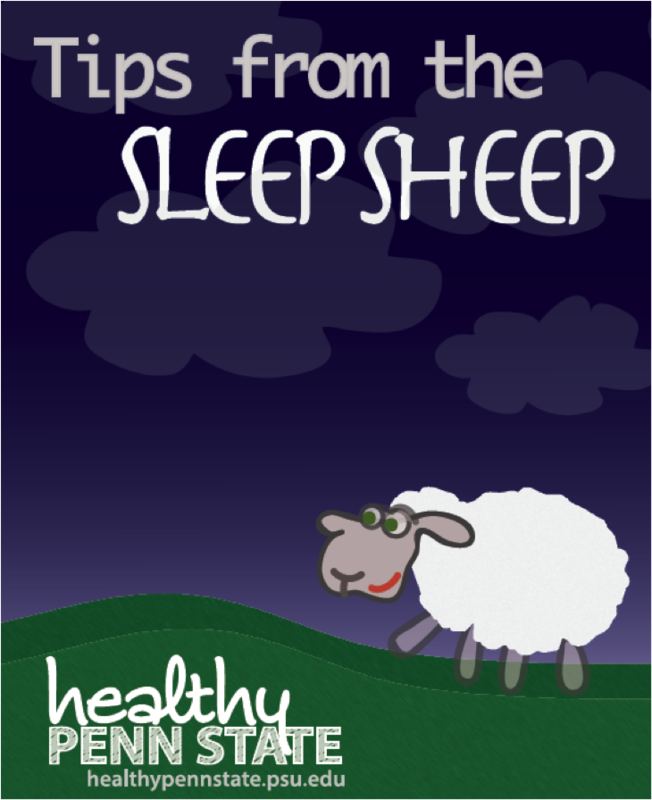 Eating or drinking too close to bedtime can make it difficult to sleep. Don’t let noise disrupt your sleep. Get free earplugs from 201 Student Health Center or run a fan to drown out noisy neighbors. Nap smarter. Limit daytime naps to 10-30 minutes during the midafternoon. Napping for longer or later in the day may make it harder to fall asleep at night. Sleep, sweet sleep. Not only does catching enough Zzzs feel great, but it’s also a way to keep your body and mind in tip-top shape. Although late nights may be tempting, not getting enough sleep is linked to lowered immune function, poorer eating habits, and impaired memory and learning. Keep a consistent schedule. Going to sleep and waking up around the same times every day will help set your internal clock and help you get better sleep. Create a pre-sleep ritual. 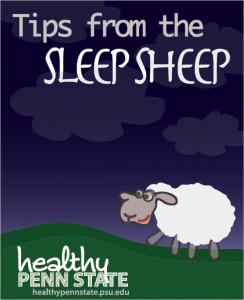 Get ready for bed each night by practicing deep breathing or listening to relaxing music. Go dark for better sleep. Turn off lights, use curtains, or wear a sleep mask (available for free in 201 Student Health Center) to fall asleep faster. Keep your eyes off the clock. If you can’t sleep, don’t watch the clock. Instead, get out of bed and read or listen to relaxing music. When you feel tired again, go back to bed. Hit the gym at least 2-3 hours before you hit the hay. Regular exercise earlier in the day can help you fall asleep at night, but working out too close to bedtime can interfere with sleep.